Hey there Peeps! We’ve been getting a lot of questions about why we don’t have a Halloween creativity kit this year. We did…it just sold out really quickly. 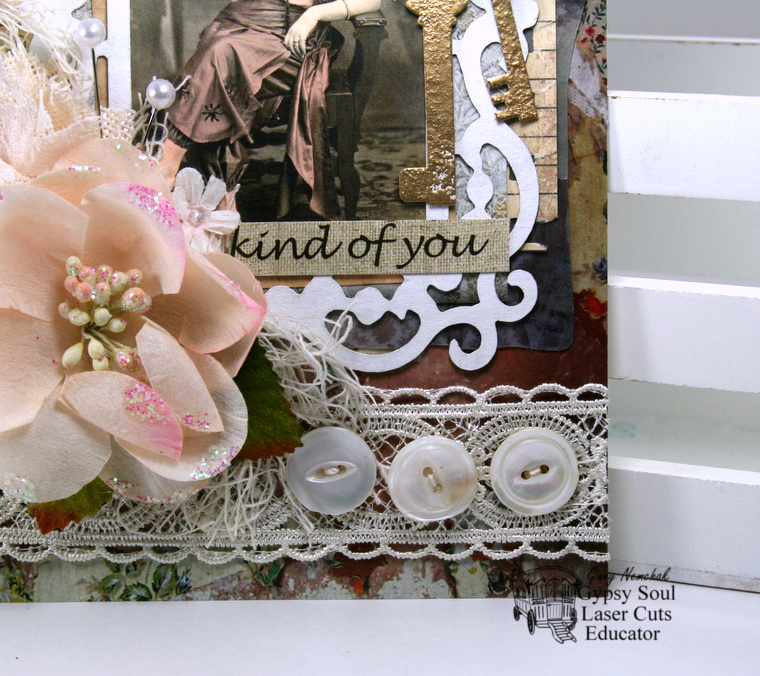 So I’ve put together a new kit with different papers and images and fun embellies like twine, tinsel trim, wooden clothespins, paper doilies, and a pearly bling strip. Here are the projects I created with the kit. I may have gone a bit crazy pants with the layers…but this holiday is meant to be fun so I say more is better! And a couple of simple and sweet A2 sized cards. 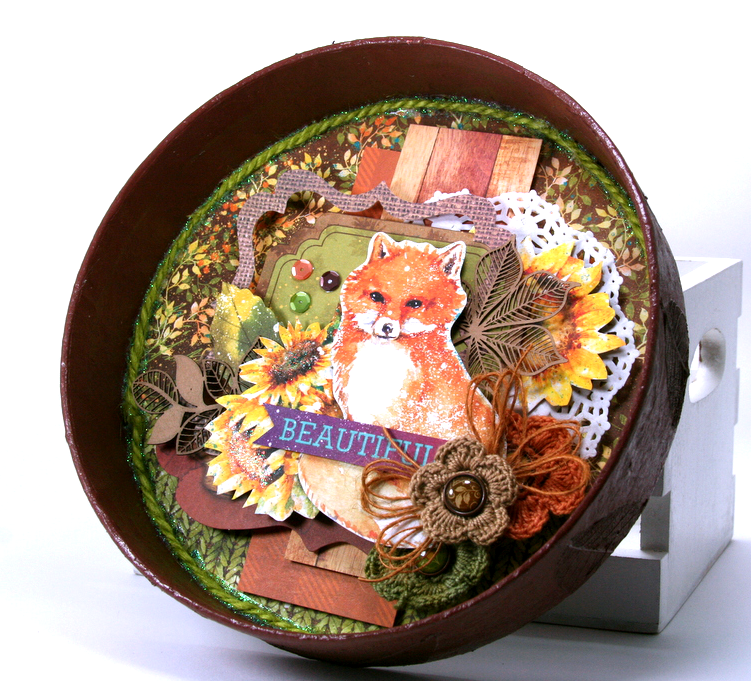 I created all these projects with the kit and bits and pieces from my stash. I had 6 pieces of the paper and several images leftover so I can make tags yay! Good morning all of you fabulous Peeps! I’m dropping in to share another fun Halloween greeting card. Fright this way. Get it? Okay I admit it’s just a little bit cheesy….but why not have a laugh…after all this is meant to be a fun holiday right? I’ve been keeping myself busy in the evening tv watching time by creating flowers to coordinate with my Halloween projects and these plaid and spiderwebby flowers are the icing on the cake for this little beauty. Satin Swiss Dots Ribbon Tangerine with Black Dots is so perfect to round out the arrangement. 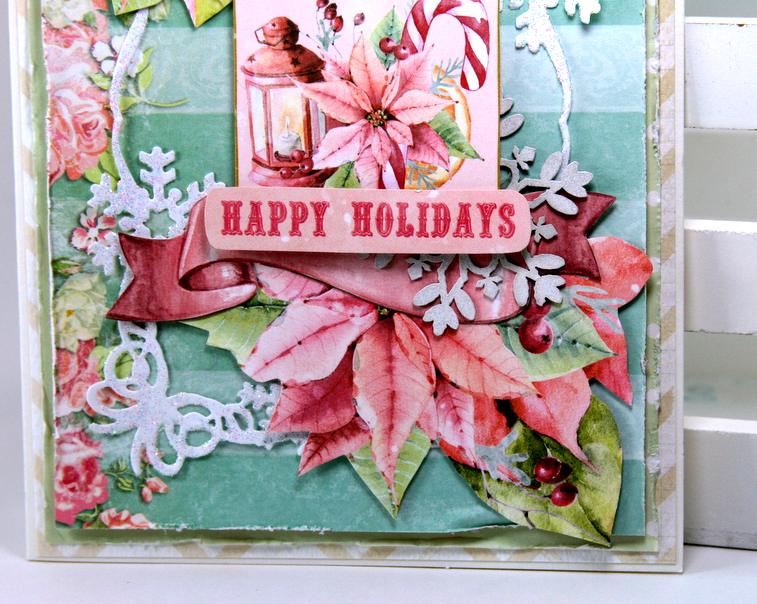 I’ve finished off this card with some die cut leaves and spiderweb, a painted chippie, and holiday die cuts. Last but not least some glittery stars and sequins…because more is always better right? Hello Peeps! 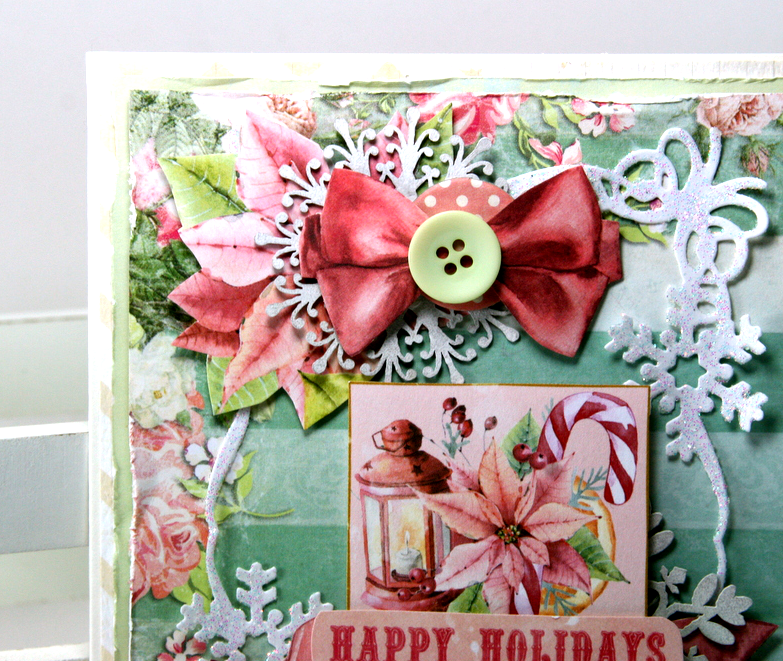 I’m just so thrilled to be sharing my first project using the new Carousel Christmas Collection from BoBunny . I’m convinced that they designed this for me. I mean it’s got soft pretty colors, large florals, and loads of cut aparts that I can layer to my hearts content. 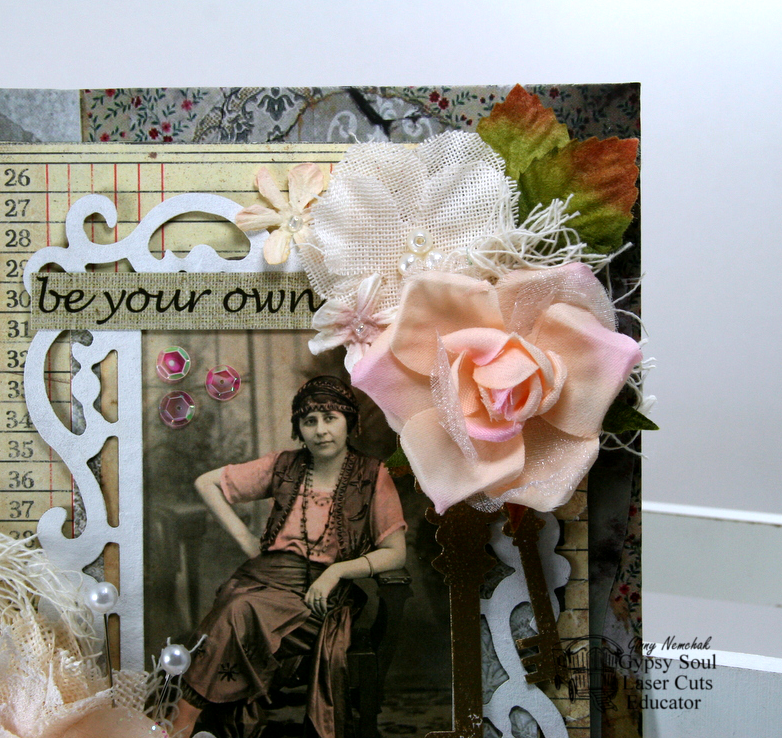 I’ve created a card with a video tutorial so you can make one for yourself. I went all out on the layers for this card. And can you blame me? 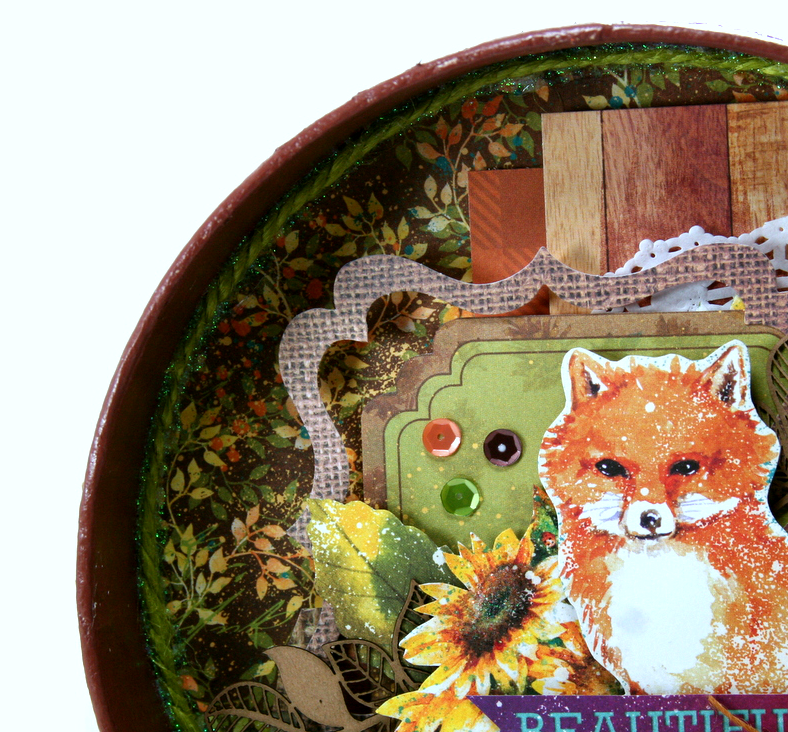 There are just so many gorgeous elements and I want to use them all!!!! 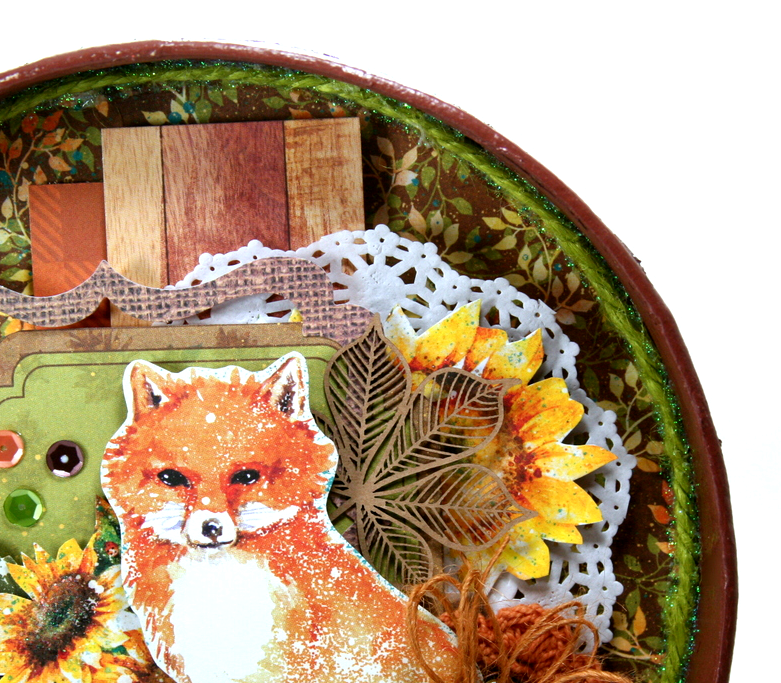 The Ephemera pack has fabulous patterned papers that compliment the collection and I chose this stripe with the flower border as the base for all the paper pretties. The fussy cutting was well worth it when I can create an arrangement like this! Notice the chipboard snowflake? Yep….new favorite BoBunny item. This lovely and festive frame is cut from the Christmas Card Die and to make it extra special I added a coat of Sugar Glitter Paste to make it sparkly. 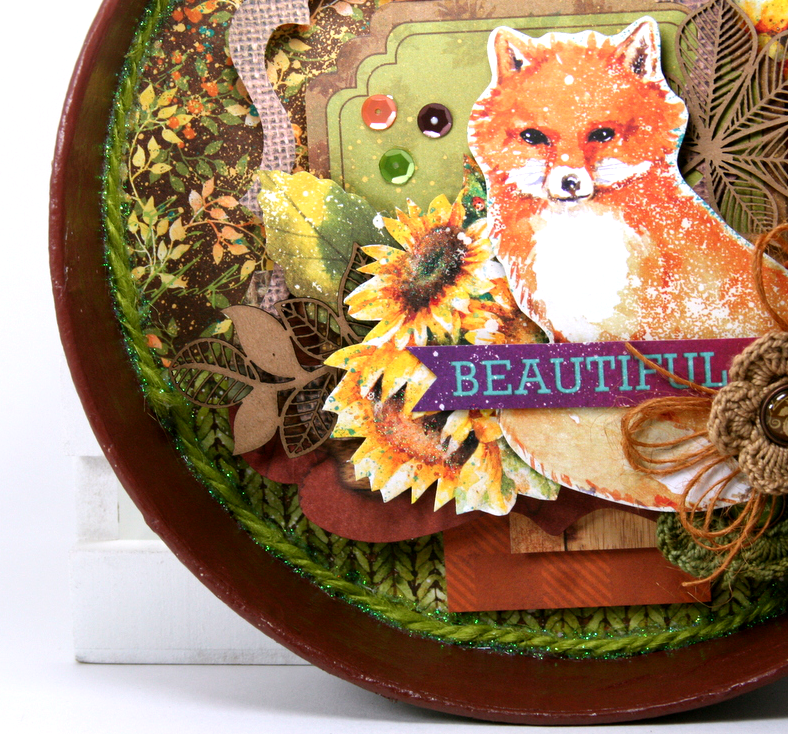 Please enjoy this video I’ve prepared for you on how I created this card…. Hello there friends! dropping in this morning to share a frightfully delightful Halloween greeting card that would be too fabulous as holiday decor. Isn’t that the most charming little witch ever? I super love her polka dot dress. 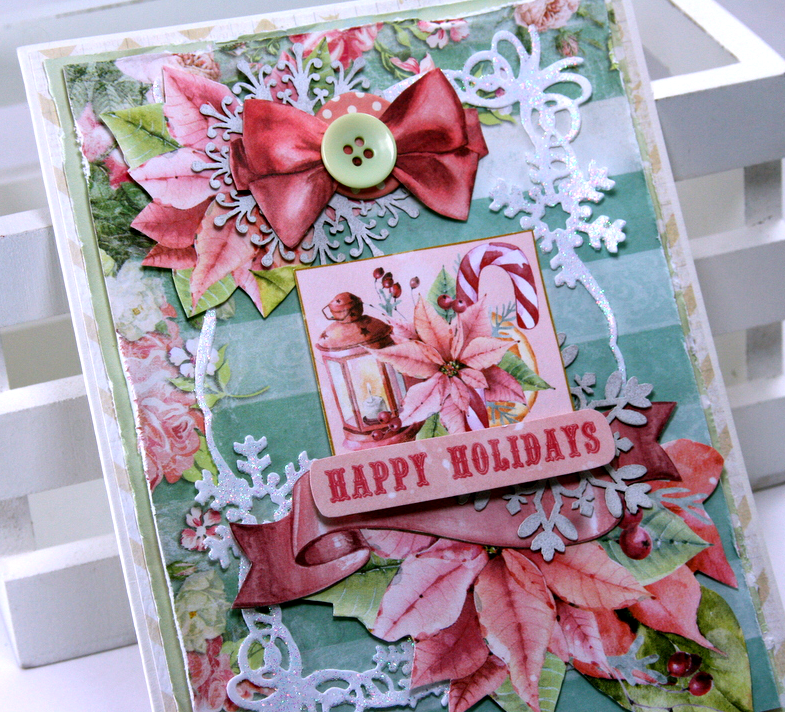 Holiday patterned papers create the perfect base for all the embellies. 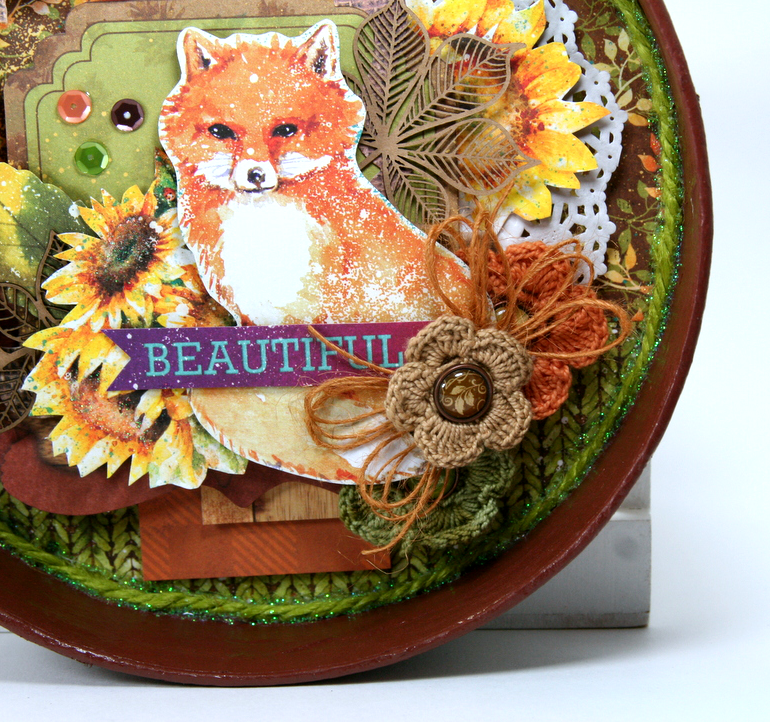 You know I love me some flowers…..and these are layered up with die cut and Stickled leaves, glittery accents, and altered chippies. I tucked some additional die cut foliage behind the scalloped frame and wound star garland to fill in the arrangement. A big giant glitter spider is a fun sparkly addition. Last but not least there’s Prills, pearls, and a sweet and simple greeting banner. Really Reasonable Ribbon~ White Magnolias, Orange Open Roses. 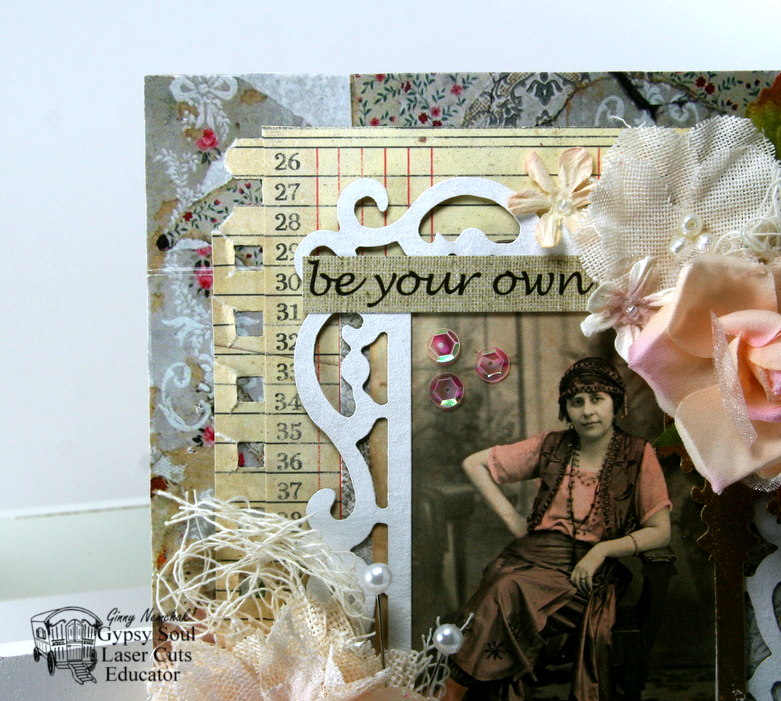 Gypsy Soul Laser Cuts~ Spiderweb Shape set, Stars and Flourishes Border and Corner Set. 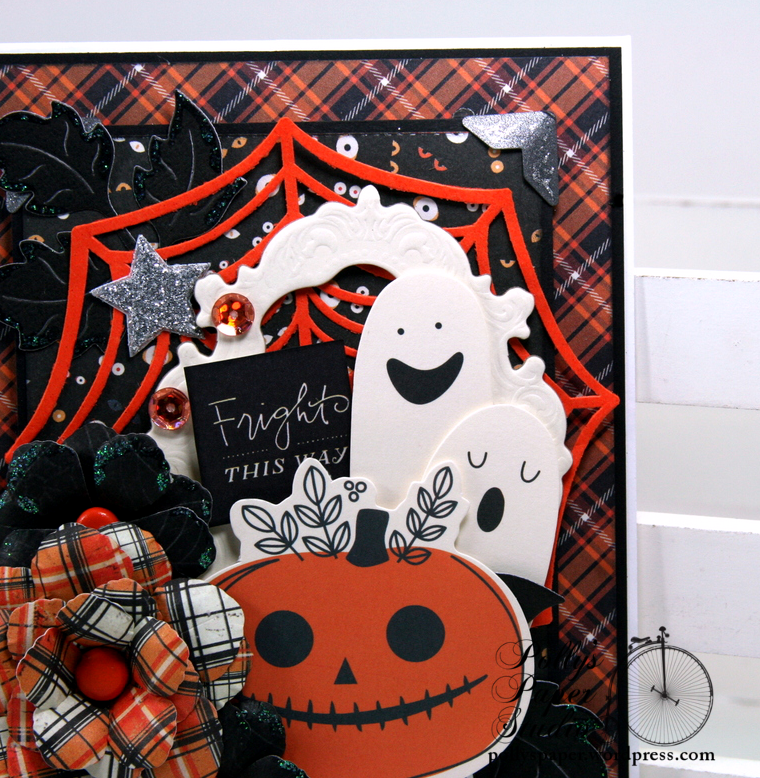 Alpha Stamps~ Little Ghouls Kit. okay that’s all for me. Wishing everyone a happy and productive day! Hey there Paper Peeps! 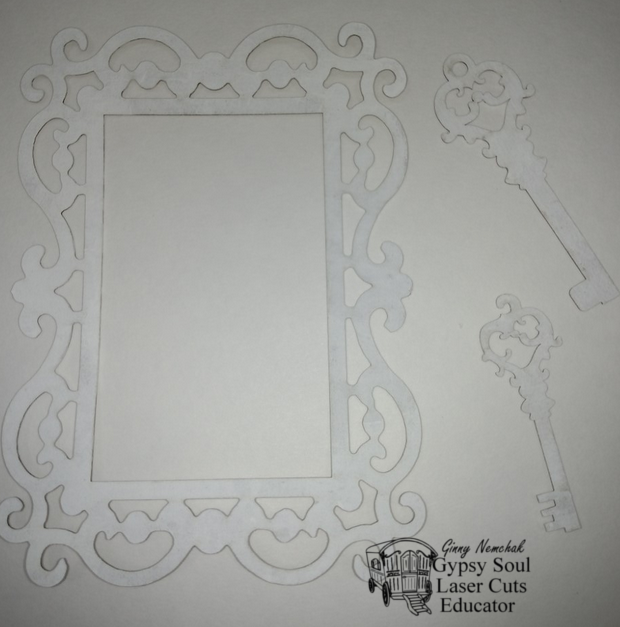 Lucky me today is my day to share the project I created specially for the matchup Gypsy Soul Laser Cuts is doing with Canvas Corp Brands. Thank you Canvas Corp for the lovely selection of paper pretties to play with! 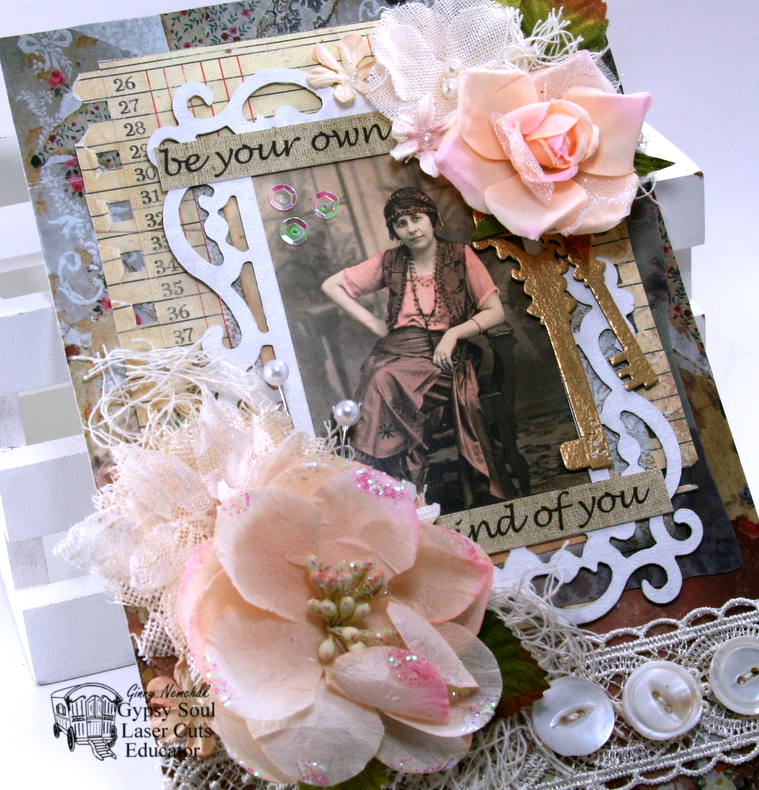 I was inspired by the image from the 7 gypsies Architectures Collection Ornate Frames. To better coordinate with the flowers I colored over some of the clothing on this pretty vintage lady. I really loved the texture from the torn out sheet from the Spiral Book so I made sure to leave a good long run of it on the side. Matching flowers create a nice arrangement here with netting tucked in and topped off with pearly headed stick pins. More flowers for the top. Dangling keys is a metallic finish to compliment her outfit. 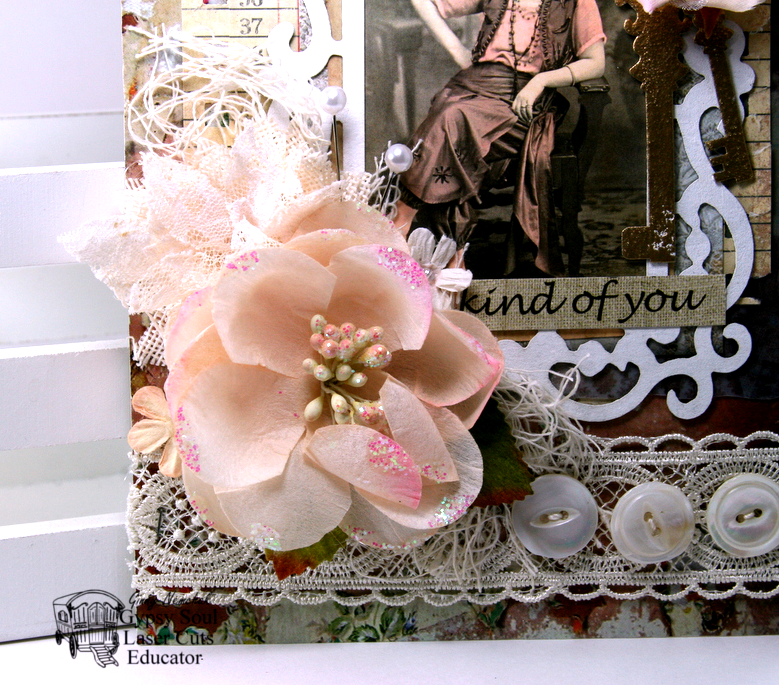 This gorgeous frame is a bit of a nod to shabby chic….and helps to brighten this composition. Real vintage buttons are required here as new buttons would not have the right patina and character . 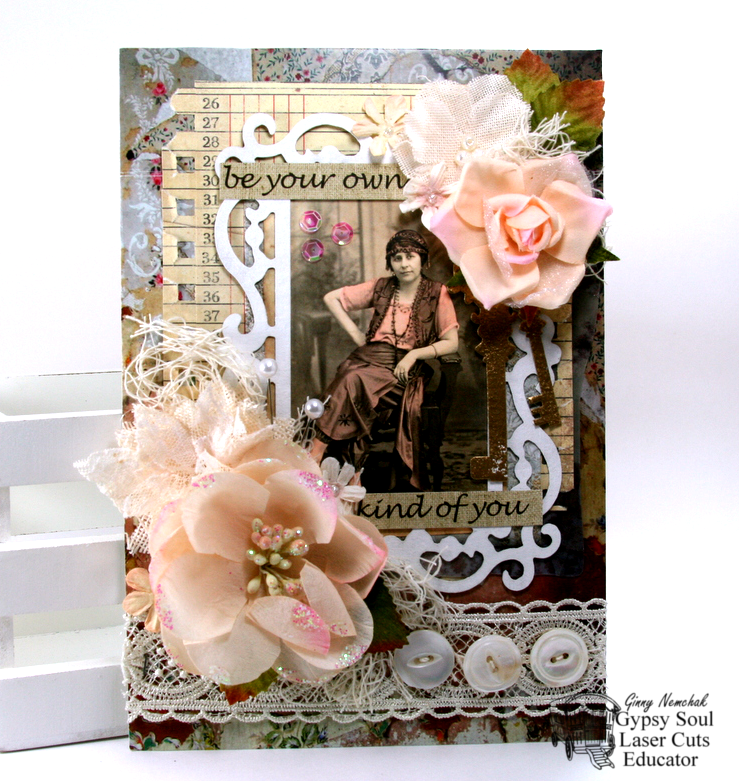 The inspiration sentiment was clipped from the packaging and the background is packaging too! These chippies were wiped down to prepare them for altering. They are finished in flat white paint. The frame is now done and ready to add to my project. 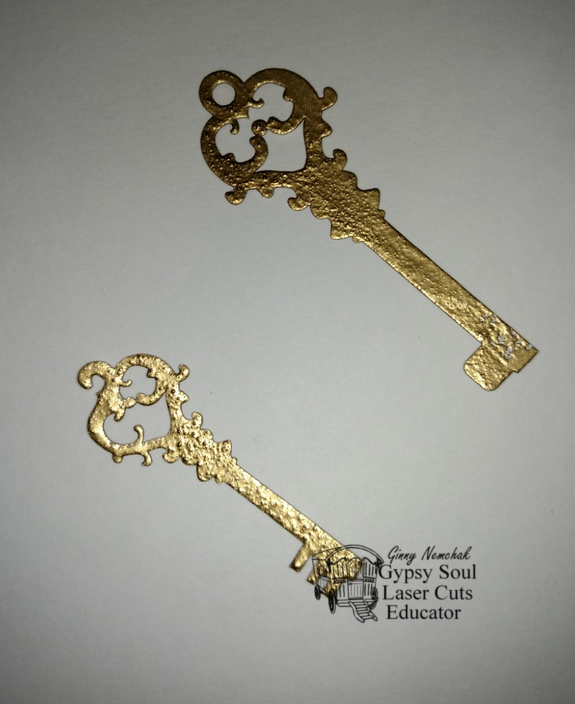 The keys got a layer of antique gold embossing powder and heat set with the tool very close to get a slightly bubbly effect. 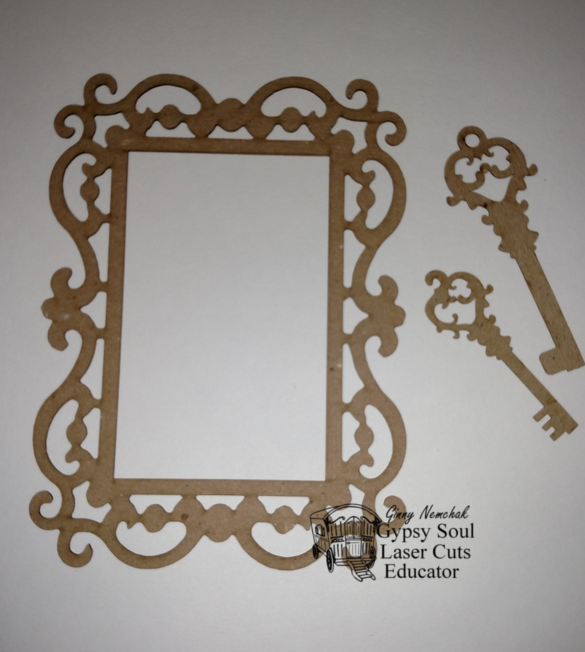 Gypsy Soul Laser Cuts~ Flourished Frame Mikayla (coming soon), Keys & Plates Shape Set. Well hey there! I’m just dropping in today to let you know that I have gone a bit crazy this week creating loads of Halloween projects and I just can’t wait to share them. 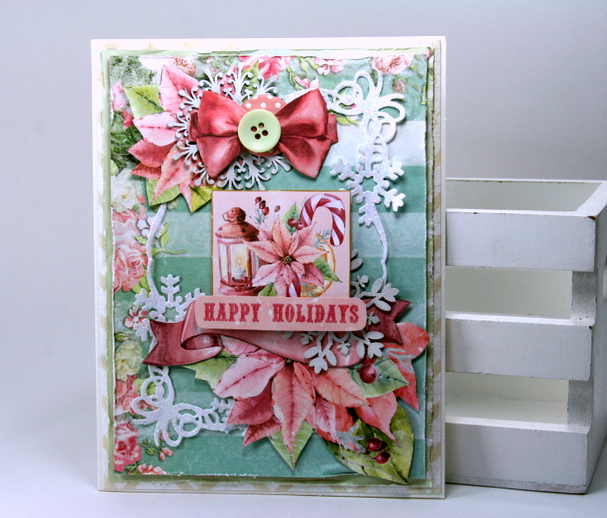 I’m kicking off with this very vintagy inspired card. The thing I like best about holiday cards is that you can add them to your seasonal decor tucked into a vintagy arrangement or displayed on a shelf. Now friends between you and me…I just love that green and purple have joined the line up for color palate for Halloween. I mean I will always use orange and black but the new additions really freshen things up don’t ya think? Why not add a multi-layer bow? I’ve got complimentary patterns here and I think it looks awesome. This rosette really add a lot of dimension as well balances out the large bow. Giant glitter spider? Don’t mind if I do! The inside of the card is finished in the coordinating paper patters. 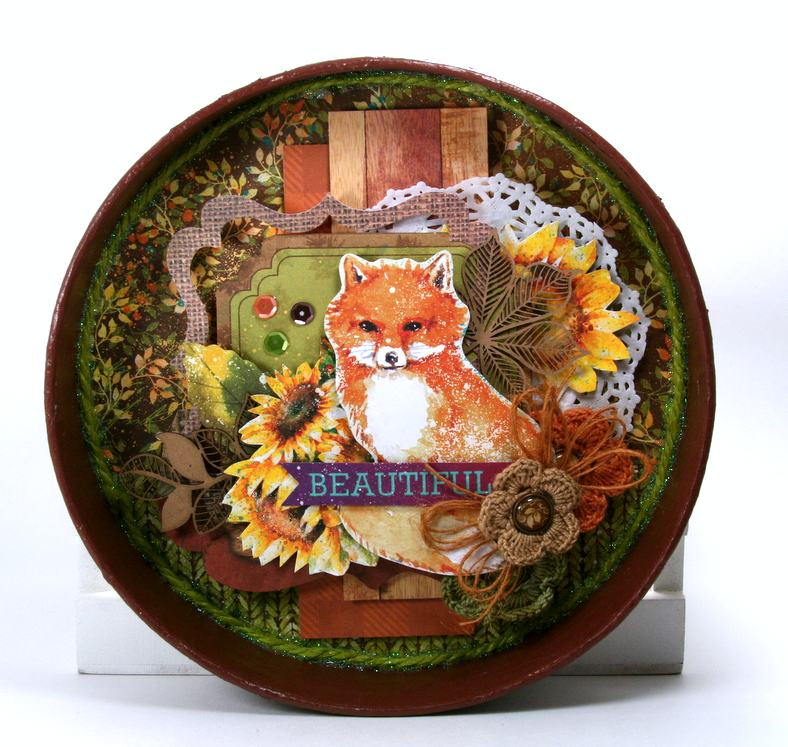 A sprinkling of Prills in a vintagy orange accents the frame and matches the glitter floral accents perfectly! Vintage Halloween Greeting Card at Polly’s on Etsy. Really Reasonable Ribbon~Spiderweb on Black Satin, Black Netting, Purple Open Roses.